As Mother Nature’s great recycler, mold and fungi are a critical component of our natural environment. Simply said, we need mold to turn dead things back into dirt, but when it starts trying to do that to our home, it becomes a problem, in many ways. Our bodies have developed a very acute aversion to decay. Nearly everyone recoils from the smell of something rotting. We instinctively know that these things are unhealthy, and so does our immune system, which is likely why mold exposure causes such significant discomfort in a large part of our population. Even before science began to link mold exposure to human illnesses, people knew that it wasn’t good for you. 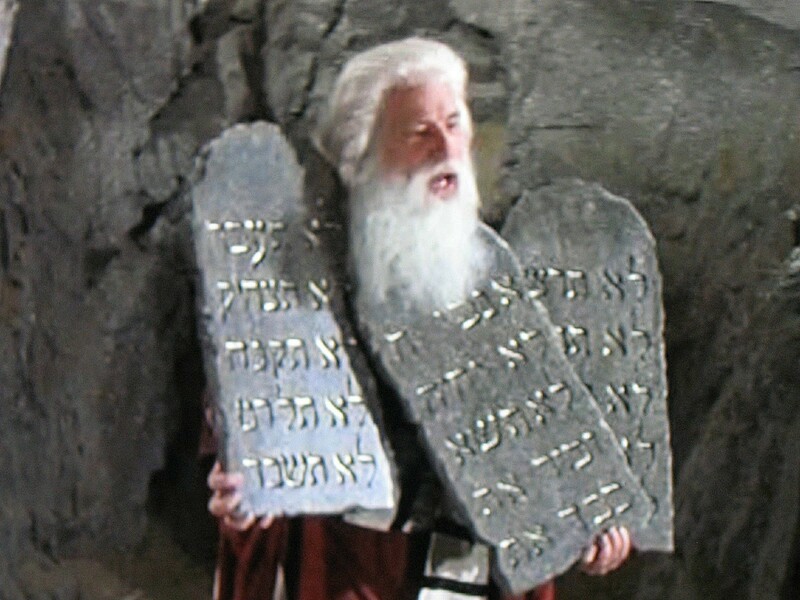 The Lord said to Moses and Aaron, “When you enter the land of Canaan, which I am giving you as your possession, and I put a spreading mold in a house in that land, the owner of the house must go and tell the priest, ‘I have seen something that looks like a defiling mold in my house.’ The priest is to order the house to be emptied before he goes in to examine the mold, so that nothing in the house will be pronounced unclean. After this the priest is to go in and inspect the house. “If the mold has spread on the walls, the priest is to order that the contaminated stones be torn out and thrown into an unclean place outside the town. He must have all the inside walls of the house scraped and the material that is scraped off dumped into an unclean place outside the town. Then they are to take other stones to replace these and take new clay and plaster the house. “If the defiling mold reappears in the house after the stones have been torn out and the house scraped and plastered, the priest is to go and examine it and, if the mold has spread in the house, it is a persistent defiling mold; the house is unclean. It must be torn down — its stones, timbers and all the plaster — and taken out of the town to an unclean place. Fast forward to the 1920’s in the Ukraine. Horses began falling ill with a mysterious disease, which included symptoms such as irritation of the nose, throat and mouth, excessive bleeding, nervous system problems, and death. It wasn’t until nearly two decades later, and after thousands of horses had already died across the Ukraine and Russia that Russian scientists identified the culprit. The horses had been eating moldy feed! The scientists fed the fungal cultures they isolated from the contaminated straw and hay to healthy horses and they all got sick. Many died. In the 1940’s this deadly fungus got its name: Stachybotrys. This is the mold now known in the media and colloquially as “toxic mold” and/or “black mold.” It wasn’t until 30 years later that the toxin was identified. It was trichothecene satratoxin. Trichothecenes are a large family of fungal toxins, also known as mycotoxins, which are produced by a fairly wide variety of different molds. Also in the early 1900’s, around 100,000 people died in Russia from a disease known as alimentary toxic aleukia, a disease apparently caused by consuming grains infested with species of Fusarium, which are high producers of T-2 toxin, also a trichothecene. Similar outbreaks, albeit with far fewer deaths, also occurred in Japan around that time due to contaminated cereal grains. The science which unraveled the mystery of these unintentional and unfortunate deaths, inevitably ended up in the wrong hands. Although it was at one time controversial, the evidence now supports the contention that trichothecene mycotoxins, and others, were used as biological warfare agents in Southeast Asia, more specifically, in Laos, in the form of what is known as Yellow Rain. Similarly, T-2 was allegedly used against Iran in the Iran-Iraq war. So why is mold such a problem now? Wasn’t it always? Well, kind of, but not really. Not like it is today. Around 1945, with the need for faster and cheaper construction, gypsum wallboard, aka drywall, quickly supplanted plaster as a building material. This is important because drywall is comprised of compressed gypsum between two layers of durable paper. Gypsum readily absorbs water and dries slowly, while paper supports mold growth very readily. Since mold growth can occur within 24–48 hours of a water event, according to the US EPA, this is a perfect recipe for mold growth. Just add water. The housing boom that followed the war, and which continues today, has created a nationwide opportunity for mold problems to exist, especially in light of fact that the quality of construction has also suffered as the volume has increased, allowing for water problems to happen more frequently. Back in the days of plaster, brick and stone construction, we didn’t have mold problems like we do now. This is in part because mold doesn’t grow on those materials very easily, if at all. Drywall, on the other hand, is like a Petri dish. What’s worse is that drywall is an ideal growth medium for Stachybotrys, the black toxic mold referenced above, because of its high cellulose content. Nearly every mold will grow on drywall given the right moisture levels, but Stachybotrys has a field day with it. The final component of the perfect storm, which has made mold into the problem we now face as a society, here and internationally, is that our buildings are built so tightly, in the name of energy efficiency. Ever since the fuel crisis in the 70’s, there has been a huge push to reduce energy usage and create a more comfortable living environment. We have walls stuffed thick with fluffy insulation. Having a small utility bill is a bragging right at cocktail parties. The unintended consequences are numerous, but here are two to chew on. First of all, when water gets into our walls now, they no longer dry out quickly, as they once did, which leads to serious mold problems, and left unchecked, rot and decay. Also, any pollutant that is introduced — biological, or chemicals from paints, etc. — now builds up and concentrates, since there is little air exchange in most homes. The fumes at the gas station aren’t good for you, but you’ve got fresh air to dilute them and reduce your exposure. Leave a gas can in the living room for too long and people are likely to become ill. The same thing goes for mold growth indoors. It’s fine when it’s growing on the mulch in your yard. In the walls of your basement, not so much. While mold is an equal opportunity pollutant, regardless of race, creed, color or religion, certain factors put the poor in a very unfortunate predicament. Affordable housing is often in areas more likely to flood. They have insufficient access to quality medical care and often rent from landlords who often fail to maintain buildings and make necessary repairs. Case in point: In 1994 a major rain caused flooding on the east side of Cleveland, an area with a large swath of dilapidated buildings. Three months later, parents began coming in with infants, limp, blue, bleeding from their lungs. This being a rare syndrome, Dr. Dorr G. Dearborn of the Rainbow Babies and Childrens Hospital, took notice and enlisted the CDC and went on a mission to discover what was going on. The primary commonality between all the homes was the presence of Stachybotrys. Other aggravating factors such as second-hand smoke were cited as possible irritants, potentially causing the already weakened blood vessels to hemorrhage. On the other side of the economic spectrum, there have been well-heeled and famous people with mold problems in the headlines for quite some time now. The one that started it all is the late Melinda Ballard. She sued her insurance company, Farmers Insurance Group, over claims that her whole family was severely affected by mold in their palatial 22-room, 11,000 square foot mansion, located in…ready for this? Dripping Springs, Texas. Her suit stated that they bungled the claim, and the remediation, contaminating the whole house and rendering her investment banker husband, a “nincompoop.” She was initially awarded $32 million, which set off a massive cascade of lawsuits against insurance companies nationwide, resulting in a unified front. Mold is no longer covered by most insurance companies, with the exception of claims related to specific kinds of water damage, and even then, it’s capped to small dollar amounts, usually $5–10,000. Subsequently, the Ballard’s record-breaking $32 million award was overturned on appeal and reduced to $4 million, plus interest and legal fees. She later bulldozed the house. The mold in question at the center of the lawsuit? Stachybotrys. Her lawsuit was fruitless, but the awareness she created lives on today. Michael Jordan, Ed McMahon, Bianca Jagger, Ted Nugent and numerous other high profile people have had substantial mold problems, and fortunately had the means to deal with them. Even Erin Brokovich ended up buying a moldy home, from Tom Selleck’s brother, with money she made from the movie made about her previous, famously successful environmental crusade. Medical research over the last decade has connected mold exposure to some of the most prevalent long-term illnesses in America. A 1999 Mayo Clinic study reported that most chronic sinusitis cases, affecting 37 million Americans, are mold related. In 2007, an EPA/Berkeley lab study found that up to 4.6 million of the 21.8 million asthma cases in America are mold and dampness related. Brown University even connected mold and dampness indoor to depression in a 2007 study. Mold has another much less nefarious side to it too. Humans have harnessed its incredible capabilities to do miraculous things for us. Although several scientists in the late 1800’s noted the antibacterial properties of some molds, in 1928, Scottish scientist Alexander Fleming discovered penicillin. What Alexander Fleming actually witnessed was biological warfare on a microscopic level in the Petri dish, and the mold was winning. Penicillin is actually a mycotoxin, like the notorious trichothecenes, but a far more welcome one in our world. A species of Aspergillus is used to ferment soy beans to make soy sauce. It’s also used to make rice vinegar, sake (rice wine) and other important Asian foods. 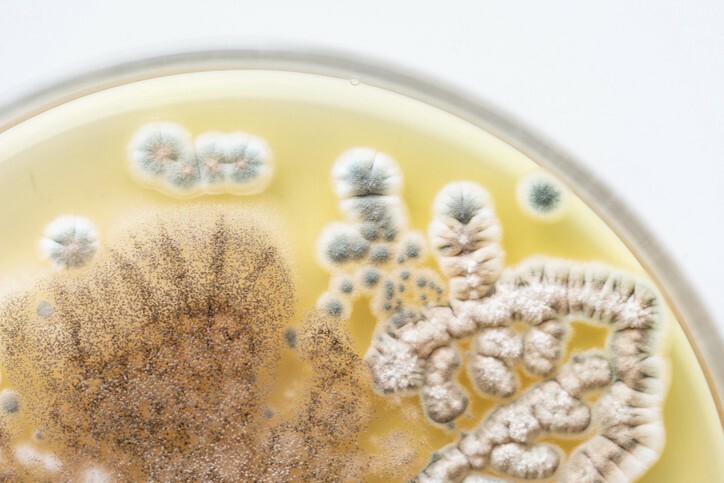 Yet, another species of Aspergillus is capable of causing a potentially deadly fungal infection known as Aspergillosis, in susceptible humans and animals. Talk about a double-edged sword. Recently, scientists have been using mold to create sustainable alternatives to petroleum. Many of the chemicals that molds and fungi produce are — such as alcohol from yeasts — can make very clean burning fuel. Obviously, beer, wine and cheese are also the byproducts of carefully controlled mold growth. Many people love these things and can’t imagine life without them. So mold in and of itself isn’t a bad thing. It saves lives every day. It brings great flavors to our plate, fuels our celebrations, and at some point in the future, perhaps our vehicles too. It’s when we aren’t in control of when and where mold grows in our homes and workplaces that we get into trouble. So, be vigilant. Keep things clean and dry, and if you see something or smell something, do something. After all, mold is nothing to sneeze at.